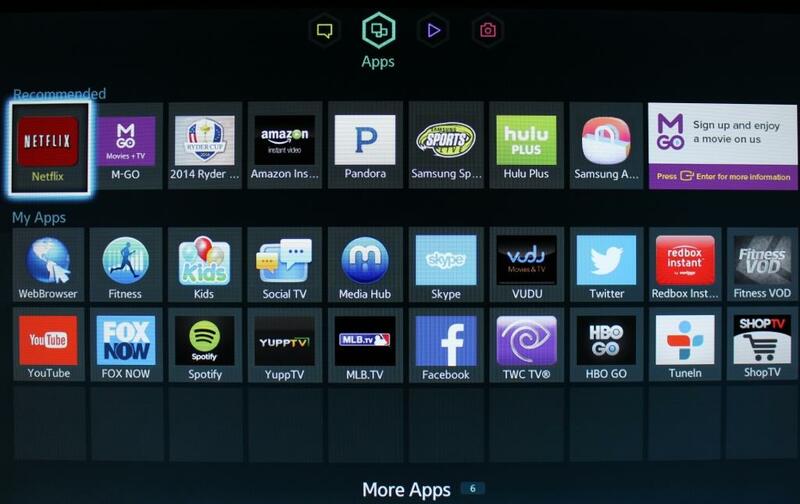 How to configure SimpleTelly on your Samsung Smart TV. This page will guide you through the setup process on a Samsung Smart TV. 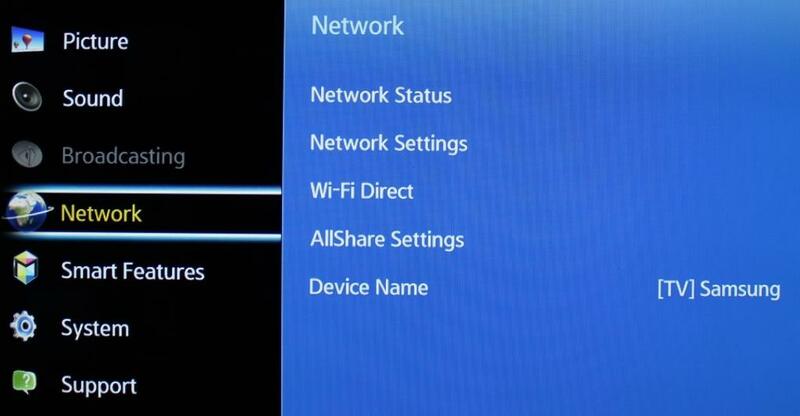 Note, while the Smart TV has an inbuilt web browser, we recommend that you use a computer to register your IP on our network. 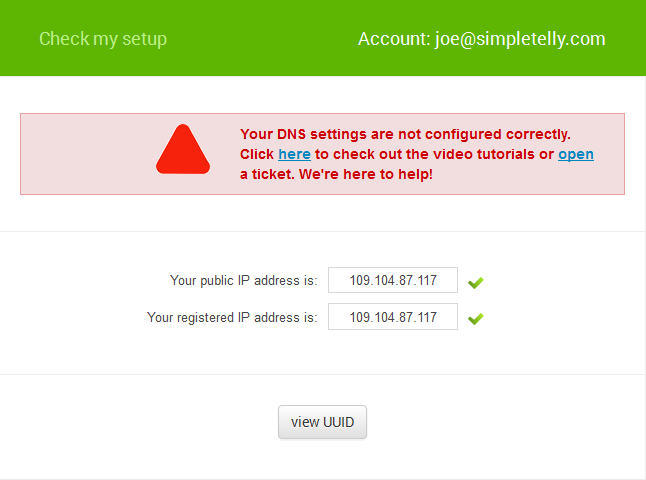 Login to our website, www.simpletelly.com from a computer on the same network as your Samsung Smart TV. 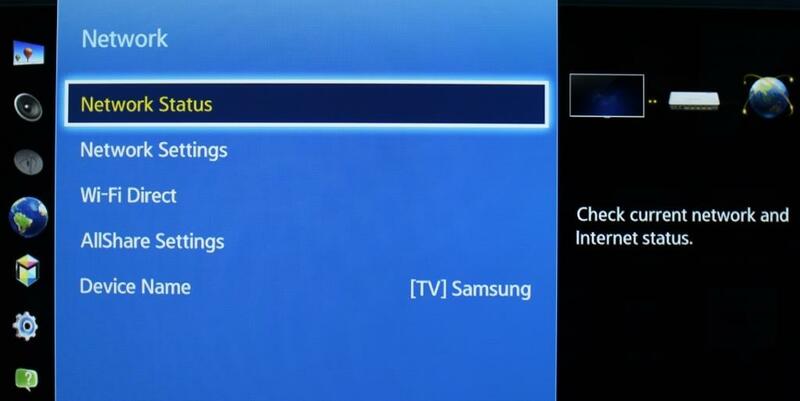 From your Samsung Smart TV home screen, click on Menu. 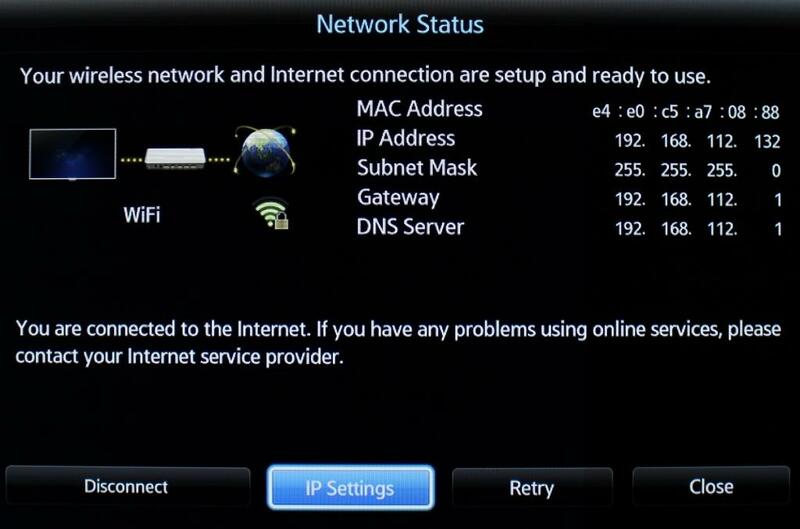 You should now be in the Network overview page, click on Network Status. 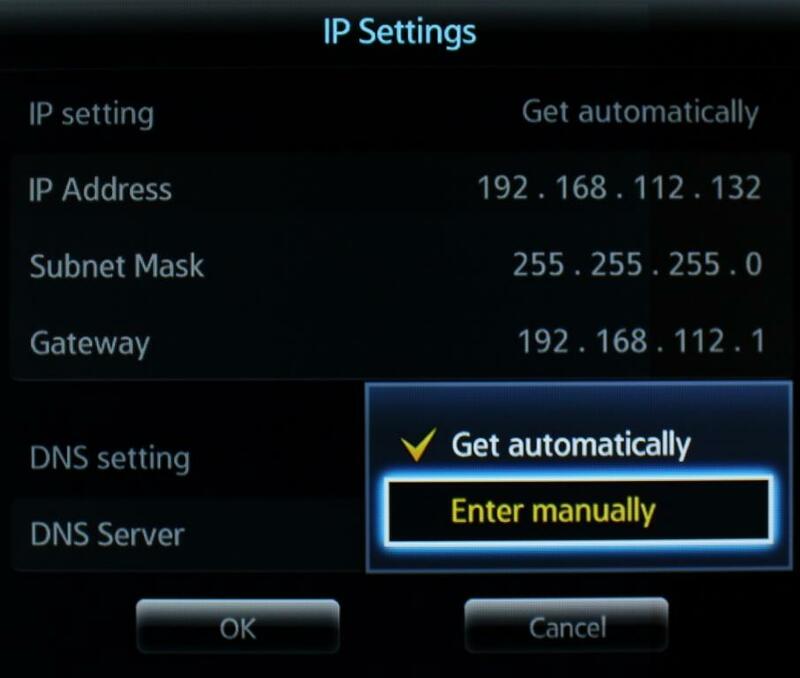 In IP Settings, you will need to change your DNS setting from Get Automatically to Enter Manually. 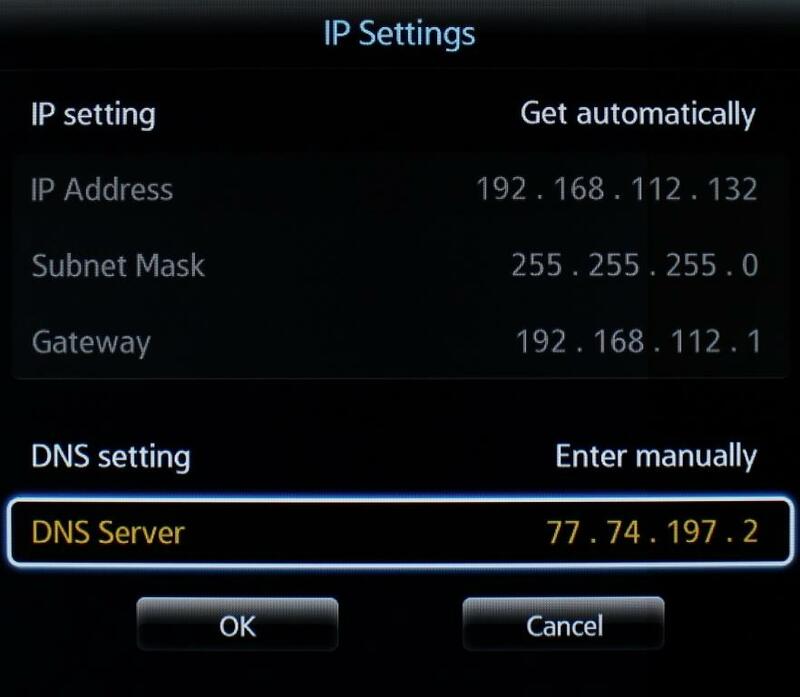 Now, enter the DNS server addresses that appeared on your browser earlier and click OK.
Return to the Smart Hub and if your IP is already registered and the DNS is set up correctly, you should be able to access the relevant Media Apps and stream it like you mean it!. Note: If you are unable to view or download region restricted apps such as Netflix, Hulu etc, please ensure your Smart TV region is set to the country that you want the apps from. Please refer to our FAQ here which will guide you on how to achieve this.